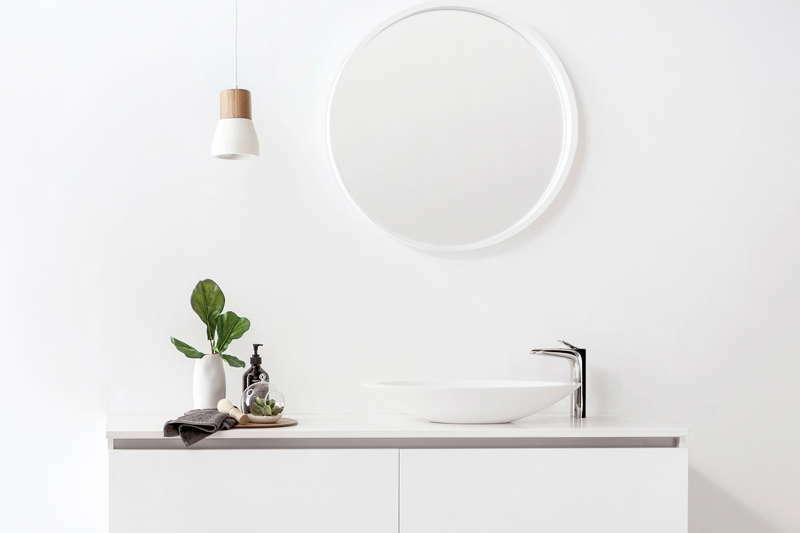 Despite being diminutive in size, tapware selections can make a notable impact or surprising statement on any bathroom and kitchen space - not only in terms of looks, but also in functionality. 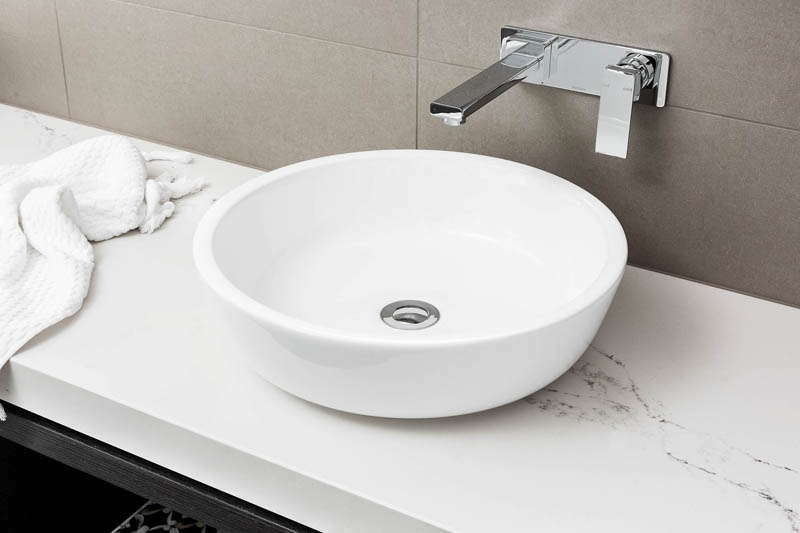 Getting the balance right between function and aesthetic when it comes to tapware can be tricky but Henley’s Senior Colour Design Consultant, Micaela Campbell, shares her insights to help your decisions “flow”. Bright chrome tapware is very popular, which is why we have made it a standard inclusion. It also matches easily with a broad selection of cabinets and door handles, making it a lasting style choice. If you’re looking for a super modern finish, black tapware and accessories are a popular upgrade and if you want to add a touch of glamour, gold finishes are now entering the market. 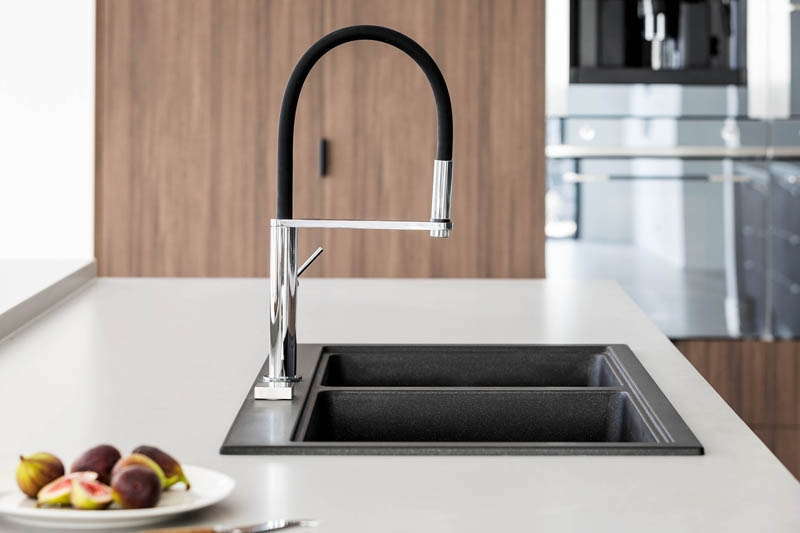 Slim and sleek, tapware that is square is also very popular, with mixer options preferred over a separate hot and cold option. There is also a demand for wall mounted mixer sets on a backplate and on a basin without a tap hole, as opposed to a basin mixer. Phoenix Tapware has supplied Henley for more than five years and they have a vast range of choices for you to consider. When deciding on tapware, make sure you choose taps that are easy to use and suit your style of home. For a modern and contemporary scheme, you may lean towards square designs, and with a more traditional/classic theme, you may opt for round designs. It is recommended that you keep your tapware collection consistent throughout the home across the kitchen, bathroom and laundry. For example, if you love the 'Rush' collection in the wet areas, opt for the range across the whole home, giving it a seamless and styled finish. To check out the latest styles in tapware visit our brand new Henley Design showroom or one of our many Henley display homes around Melbourne.